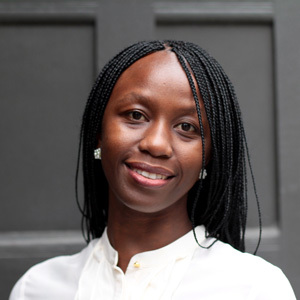 Philomena Apiko, a Ugandan national, is a Policy Officer in the African Institutions Programme. She holds a Bachelor of Laws (LLB) and Master of Laws (LLM) in Human Rights Law, from the University of Cape Town, South Africa. She also has a Master of International Law and Economics from the World Trade Institute in Bern, Switzerland. Philomena’s interests lie in human rights; justice; inclusive and sustainable development; democracy; and the rule of law. Prior to joining ECDPM, Philomena worked as a Legal Researcher at Ditshwanelo – The Botswana Centre for Human Rights.